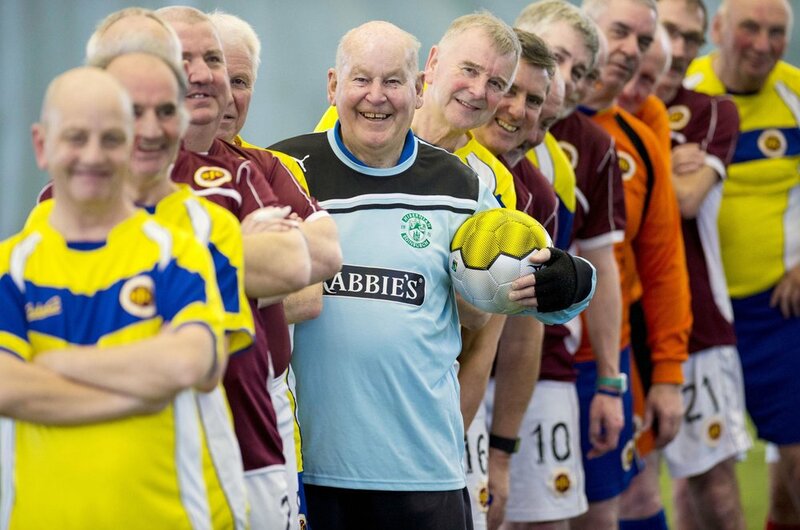 Walking Football in Scotland is becoming an increasingly popular way to play sport, socialise and live healthily. Walking football has become increasingly popular. It’s exactly what it sounds like – a standard game of football where players walk instead of run. It's designed to help people get fit or maintain an active lifestyle no matter what their age and fitness, as well as support people getting back into football if they have given it up due to age or injury. Older people who play have seen many benefits: lower heart rate and blood pressure, less fat and more muscle, and better mobility. And it’s not just health benefits - walking football also offers social benefits. Participants can meet new people, avoid becoming isolated, and interact with individuals and small groups. Remember how activity used to feel? The feeling you once got from playing sport or riding your bike as a child? As you get older, there’s no reason why you can’t get that same pleasure – with activities that you know and feel good about and at your pace. It’s sometimes easy to get stuck in a rut as you get older. A new activity is a great way to try something new and get the most out of life. Find something you love and you’ll wonder how you ever survived without it. We all want to stay mobile and continue enjoying our daily activities independently. Doing a bit of regular activity will keep you feeling healthy and happier in later life. Retirement brings with it more free time. Perhaps it’s time to rekindle old friendships and get to know each other again? There’s no better way than by doing a sport or outdoor activity together. Taking up a physical activity can inject a buzz and energy into your weekly routine.